Watch Full Movies and TV Shows Online Free and get a chance to have an iPad Air now. Even in a rapid-changing world, watching Movies or TV shows is still the best form of entertainment. Now, you can easily watch movies and TV shows on the internet with your phone or computer. Whatever is the weather or wherever you are, you can simply click, grab some popcorn, set back, relax, and enjoy. 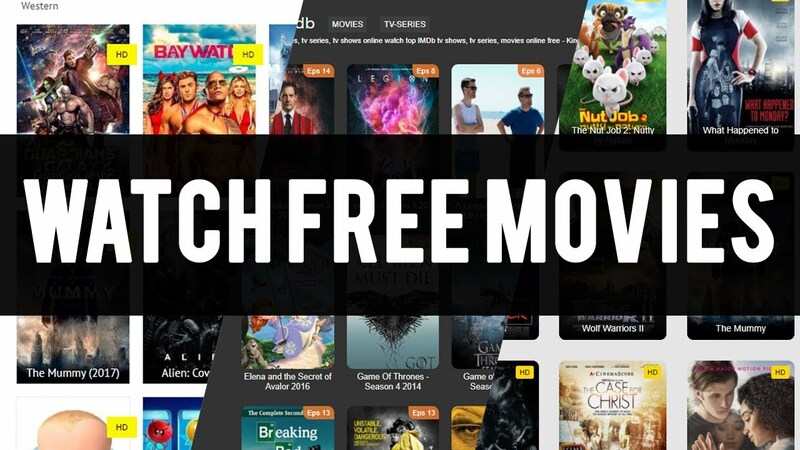 Watching movies and TV shows online free is possible without having to resort to direct downloads or torrents, or sites pursued by the entertainment industry for reasons of copyright. There are several legal and free options. Classic cinema and a large number of films and shows that are already in the public domain can be viewed online without restrictions. Other websites collect independent films and shows, others offer free content with some commercials. Some webistes, especially on YouTube, you can find huge amounts of films and TV shows of all time and genres. Internet Archive is already one of the largest libraries of public domain content on the web, in its section of movies you can find more than 22,000 results that include complete films, classic short films, documentaries, trailers, and even advertising. Everything is organized by type, year, themes, collections, creators, languages, titles, file date, and number of views. And besides, there are no annoying ads at any time. Big Five Glories is a beautiful and elegant website where you can watch classic movies online and for free . The site has a design very consistent with what it offers, and its name is applied to the five largest production companies in Hollywood in the golden era of the 30s and 40s. However, the site offers films since the 1910s until the 70s. Viewster is a relatively small service that offers a selection of movies, anime, and short films for free. Most of the content is independent, but that does not mean that you do not get some jewel there. Everything is free and supported by advertising. Classic Cinema Online is a website that has been offering classic movies for a long time to watch online and for free. The design is not as nice as that of Big Five Glories, and some videos use Flash (horror) but the catalog is quite large. In Legally Free you get a wide selection of movies that are available on the web for free. Here you do not find only classic films, but recent and current content , although do not expect the last of the Avengers, they are more indie movies that are free to see on the Internet. In Open Culture they are dedicated to compiling all types of content on the Internet that is open and free. In addition to books and courses, on the web they have a large section of 1,150 free movies ranging from more than 100 Korean films, to horror classics by Hitchcock, through documentaries and animation, to a special collection of Oscar-winning films. In Open Culture they do not host the content, they only list it to the different sources. In Filmon you get plenty of video on demand for free in standard quality. What you have is to endure a bit of advertising. The film section has documentaries, short films, drama movies, horror, comedy, action, etc. YouTube is already the source of content of some of the websites mentioned above, and in the same section of YouTube Movies, although the vast majority offered are for rent, sometimes you find free offers. YouTube is also the main source of TV show trailers, previews, and recaps. In any case, there are many channels where you get things as classics of Spanish cinema. If you want to watch horror movies of the 80s, here is a playlist. Or, you get channels like Cinetel Multimedia, a distributor and producer of Spanish audiovisual content with a long list of movies available on YouTube. Movies Found Online is a website that, as its name indicates, is dedicated to collecting films that can be found on the Internet. They do not host anything, they only link to videos on sites like YouTube and Vime. It is a good option to find movies easily without having to manually search on those video platforms. In Top Documentary Films they only collect documentaries and they have a very wide library. On the RTVE page you can find the archive of the Spanish Library with some classics, short films and documentaries. If you do not mind the ads until you get tired, on the Mitele website you can see a lot of content for free without registering. Watch Full Movies and TV Shows Online Free and get a chance to have an iPad Air now.